On behalf of the Heating the Midwest Steering Committee and the 2016 HTM Annual Conference Planning Committee, we are excited to announce the registration site will soon be going live! Volunteers have been hard at work and we thank them for their time, contributions and commitment thus far. It’s all paying off with an exciting program taking shape. Please watch for future notifications on the program details and registration information. We anticipate a great event and hope you are all clearing your schedules to attend. Your support and presence matters and is needed! If you have any additional questions or would like further information regarding the 2016 HTM Annual Conference, please contact Tami Dahm at tdahm@auri.org. Are you interested in getting more involved in biomass thermal energy? 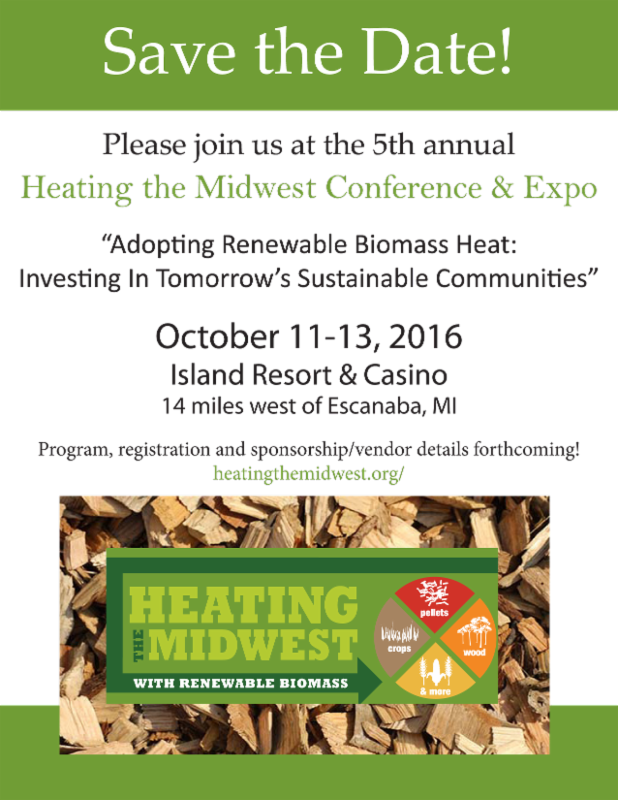 The 5th Annual Heating the Midwest Conference & Expo will be held October 11–13, 2016near Escanaba, MI, and planning is underway! 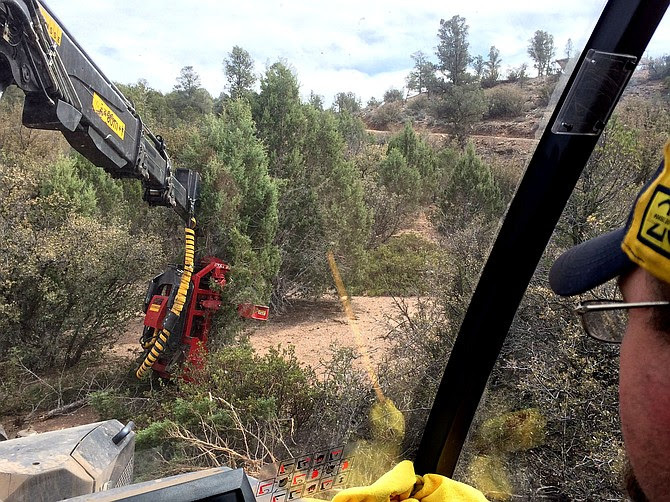 As you’ve seen month after month; companies, governments, and communities around the Midwest are making progress on biomass heating and combined heat and power (CHP) programs and projects. If you have a story or event to contribute for next month, please submit by close of business the 3rd Wednesday of the month to tdahm@auri.org. And, if you’d like to be on the list to receive upcoming newsletters, please contact Tami Dahm at tdahm@auri.org.